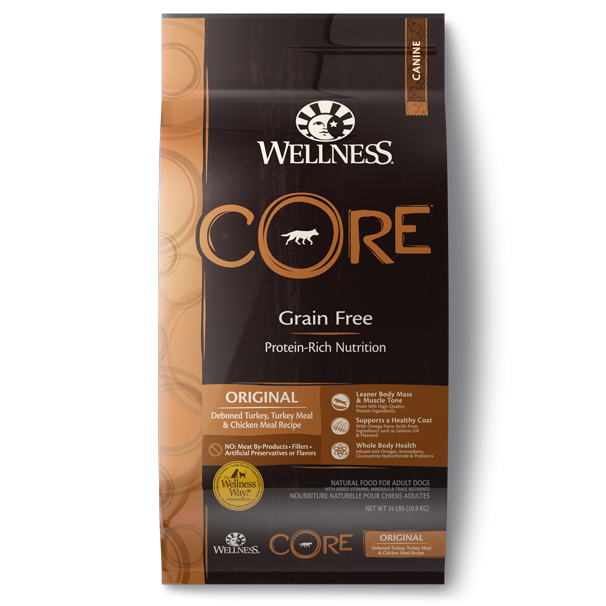 Wellness® CORE® is based on the nutritional philosophy that dogs, given their primal ancestry, thrive on a diet mainly comprised of meat. These nutrient-dense protein nuggets are packed with quality animal protein, without fillers or grains, along with wholesome superfoods. Each tender bite delivers an incredibly healthy and exceptionally tasty way to treat your dog. Turkey, Peas, Flaxseed, Natural Flavor, Duck, Cane Molasses, Salt, Broccoli, Carrots, Kale, Mixed Tocopherols added to preserve freshness, Dried Cultured Skim Milk, Rosemary Extract. 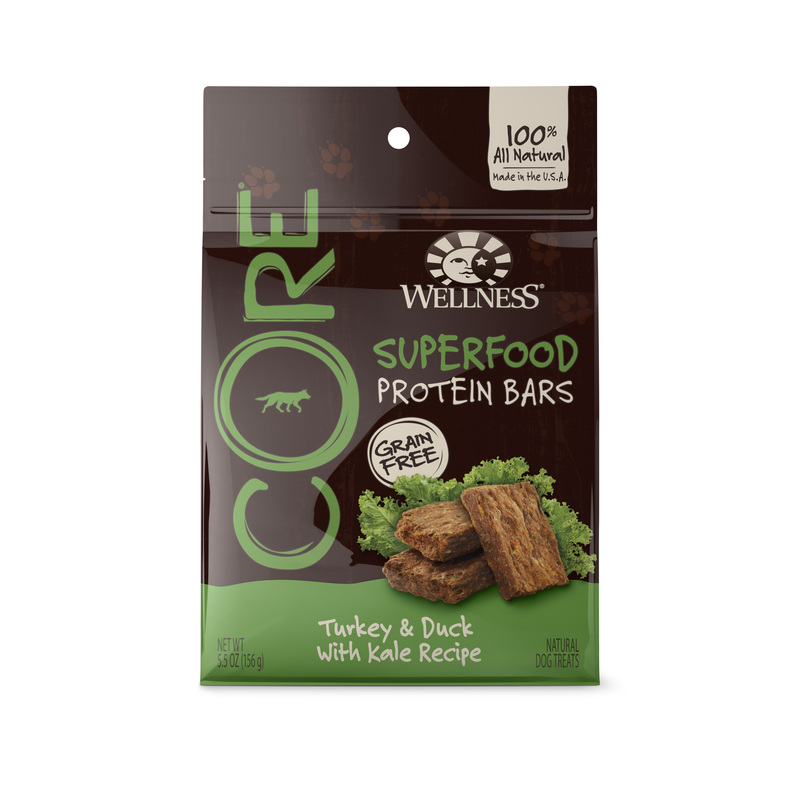 Wellness® CORE Treats are intended for intermittent or supplemental feeding only. Calorie Content (calculated): This product contains 3,430 kcal/lb or 19 kcal/piece ME (metabolizable energy) on an as fed basis.